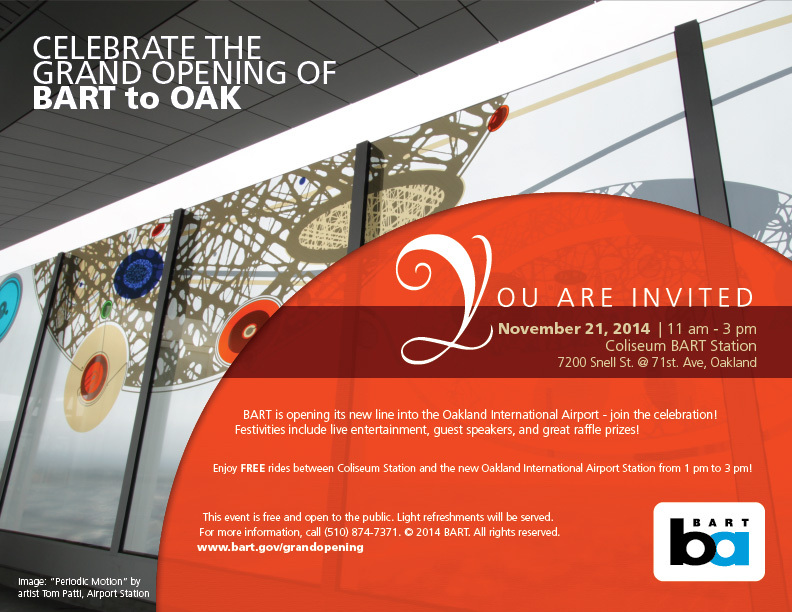 BART’s service to the Oakland International Airport (BART to OAK) is ready to open*; now it’s time to celebrate! 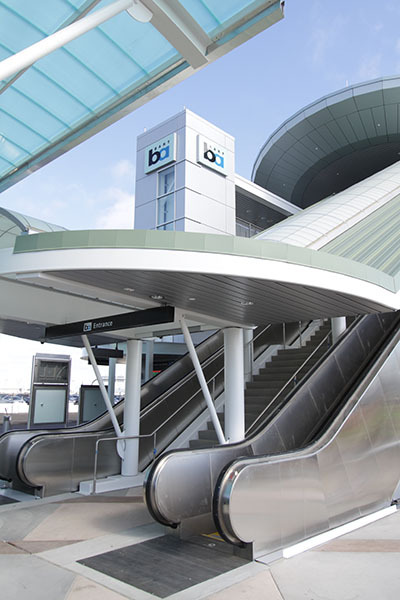 Join us at the Grand Opening Community Celebration to commemorate this milestone. The celebration includes key speakers, entertainment, refreshments, free giveaways and great raffle prizes! 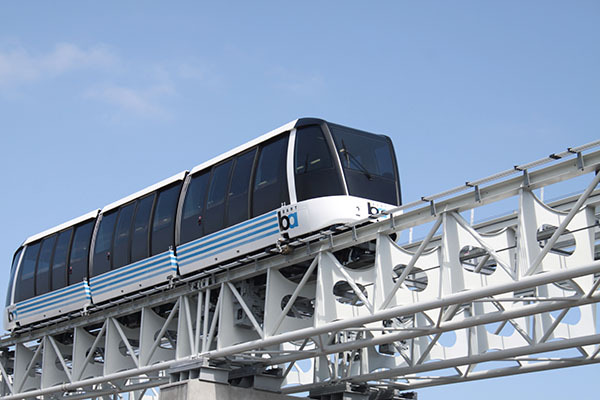 Enjoy FREE rides between Coliseum Station and the new Oakland International Airport (OAK) Station - 1 pm to 3 pm!